I went a little crazy again with my Korean Skincare and Make Up obsession so... here's another HAUL video for you guys! I tried out Ezbuy 's new service this time and purchased some korean beauty items from their site. If you guys don't know what Ezbuy is, it is basically a middleman page that helps you purchase goods from overseas websites, and for the longest time we all know that Ezbuy is the "Daigou" for Taobao (a chinese e-commerce site) for us singaporeans. Read the blog post and watch the video here! So here are my loots that I got off Ezbuy's new Korean Beauty section, where they promise that products are 100% authentic and they're all flown in from Korea itself. Price wise.. it is definitely cheaper than if you were to get them from Singapore or most online stores! Scroll down to the end of the post to watch my haul video! Shipping took 2 weeks and I opted for the doorstep delivery at an additional $8 more. What I loved about it is that each item was individually packed in bubble wrapped and sent over in a box that was nice and in pristine condition. 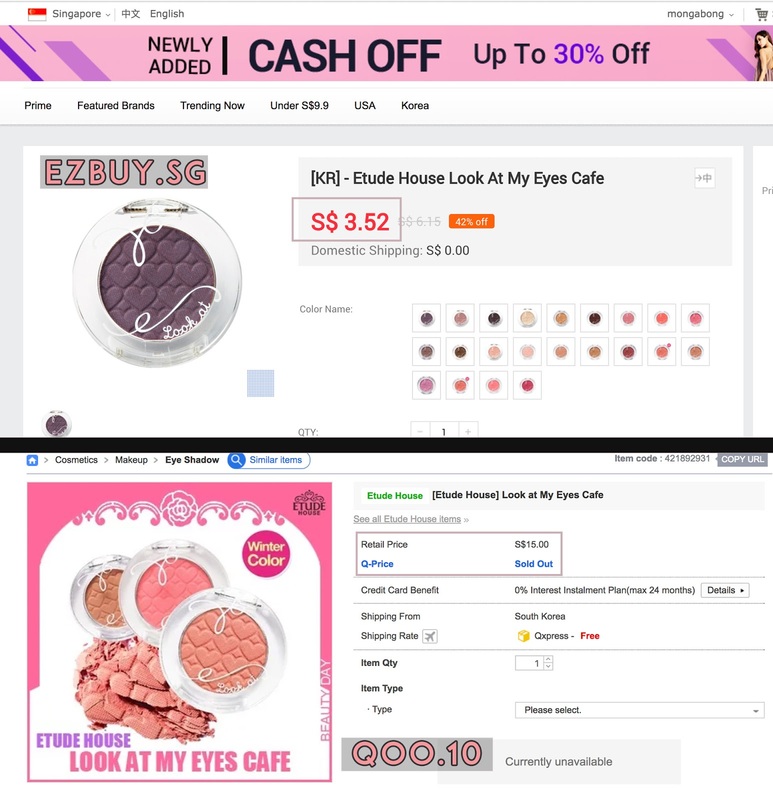 For instance, the Look At My Eyes Eyeshadows only cost $3.74 each on Ezbuy.sg as compared to $8-20 on other popular online sites. On top of that, you guys can use my link bit.ly/mongabongEZ10 for $10 off! I really enjoyed shopping on ezbuy! 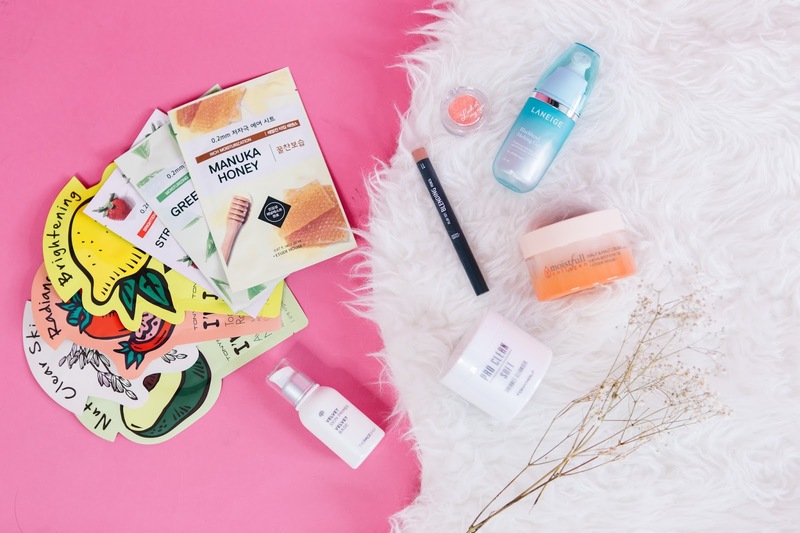 If you've always wanted to try out some korean beauty products or simply just to stock up on your holygrail products, try out this efficient and economical service! They've got a pretty decent range of brands there like Laneige, Etude House, Laneige, Tony Moly and more. GET $10 OFF WITH THIS LINK!